HI BRIAN, NOW THIS PHOTO WOULD APTLY SHOW ANY FOREIGNER (NORTHERN) PERSON WHAT A FAT LIGHTER HOUSE LOOKED AND LOOKS IN THEIR TIME. 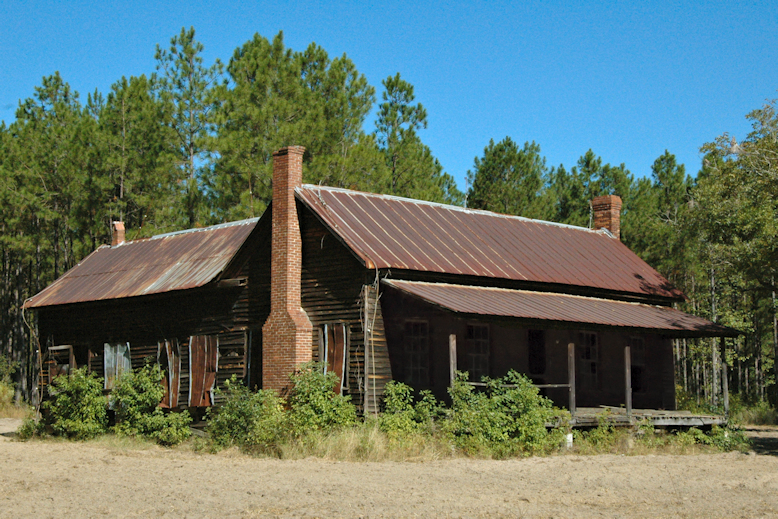 THESE TYPE HOUSES WERE SEEN EXTENSIVELY IN SOUTH GA. AS WELL AS MANY PLACES IN GA. THIS WOOD WAS VERY DURABLE, ALMOST INSECT PROOF ( TERMITES-ETC.) THE MAIN DRAWBACK WAS IF EVER CAUGHT ON FIRE- VIRTUALLY IMPOSSIBLE TO PUT OUT!!! I HAVE PERSONALLY SAW 3 OF THESE TYPE HOUSES BURN TO THE GROUND IN A FEW MINUTES TIME. THE HEAT WAS SO INTENSE THAT IT BLISTERED THE PAINT IN SMALL SPOTS ON MY PARKED VEHICLE PROBABLY 200 FT. AWAY!!! EXCELLENT PHOTO’S AS ALWAYS. KEEP UP THE GREAT WORK-( DID I SAY WORK!!!). JUST KIDDING BRIAN. I have passed this house many times. I will get out there and send you a picture of what it looks like today, if it is still standing. Thank you for all your interesting subjects. I’m loving everything you post.